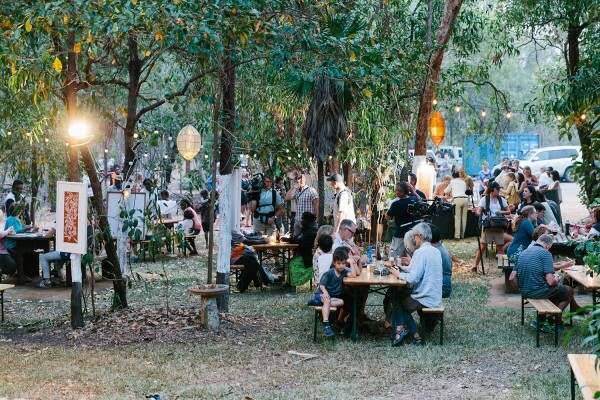 Australia’s premier Indigenous food festival, A Taste of Kakadu, returns from 10 to 19 May with an immersive program celebrating cuisine, culture and country. Russell Gueho, Park Manager, Kakadu National Park said the festival is a major event for the dual-World Heritage listed park, which celebrates its 40th anniversary this year. “A Taste of Kakadu is an exciting celebration of traditional foods and the history embedded in the cultural heritage of this great national park,” Mr Gueho said. - Bush Tucker Walk: Join Kakadu National Park Ranger Jacqueline Cahill for a guided bush tucker walk of Kakadu's wetlands and woodlands. Jacqueline will share her intimate knowledge of the area's edible plants and animals, explaining their stories, their many uses and the ways they are affected by them seasons. - Anme Garringun Ganji Mayambolk: Kakadu Tourism presents this one-of-a-kind event under the stars at Cooinda Airstrip. Enjoy canapes and listen to stories that interweave the rich tapestry of Aboriginal night-time mythology. - Mawurndaddja Cultural Tour: Join a Kakadu Cultural Tours cruise of the East Alligator River before heading across into Arnhem Land where your guide will lead you through Mawurndaddja, an ancient rock art and occupation complex that has only recently opened to outside visitors. - Riverside Stone Country Cook-Up: Take a walk through the beautiful stone country with the NjanjmaRangers and experience traditional food and stories. The walk ends with a cook-up where you can sample delicious fish, yam and water lilies and hear an array of fascinating family stories. - Cooking demonstrations: Acclaimed Indigenous chef Mark Olive, will host an entertaining cooking presentation on opening weekend, showcasing the native ingredients he uses to create his signature cuisine. The following weekend Paul ‘Yoda’ Iskov from Fervor returns to the festival with an informative open-air cooking class. Kakadu National Park acknowledges the support of industry partners Animal Tracks, the Hunter Family, Jabiru Area School, Kakadu Billabong Safari Camp, Kakadu Cultural Tours, Kakadu Tourism, Marrawuddi Gallery, the Njanjma Rangers, and the Northern Territory Major Events Company.